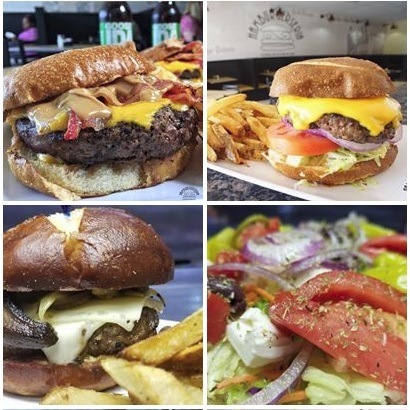 Hamburgerseria is a burger restaurant, located in Joliet, IL 60435. The restaurant provides 3 menus: food menu, beer menu and wine menu. The burgers at this place are among the best in Chicago, view the video to learn more about Hamburgerseria. They have several types of burgers, for example: the ‘breakfast burger’ and the ‘blue burger’, in addition to the burgers, they have options such as sandwiches, snacks and desserts.